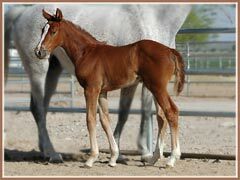 This beautiful filly arrived on April 19th and is the first Bel Espace Go offspring in the United States. 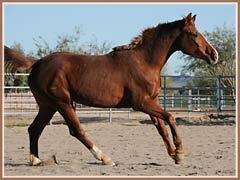 This young lady is very athletic and light on her feet in all 3 gaits. 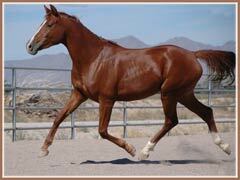 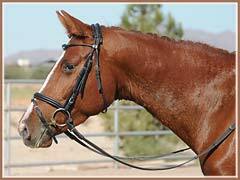 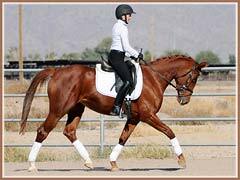 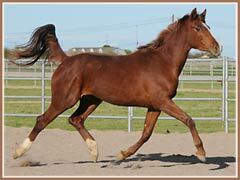 She has a balanced, uphill canter and springy trot with good suspension. 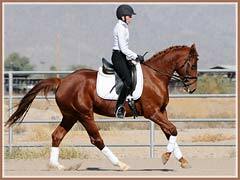 Her sire, Bel Espace, is by the Elite Stallion Maizauber, also the sire of our own Padua Go and the successful Grand Prix Dressage gelding Bellinger. 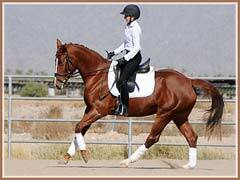 Bel Espace was the champion of his performance test with scores of 8.4 overall and 8.52 jumping. 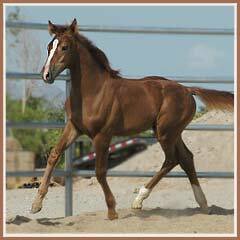 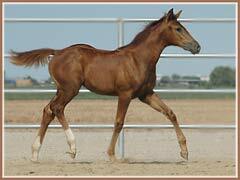 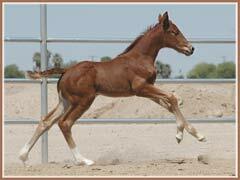 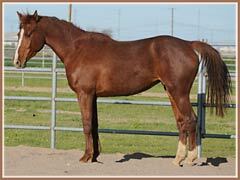 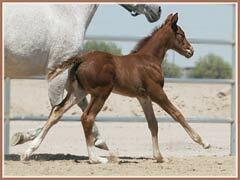 His foals have been typey with tremendous athletic ability and grace. 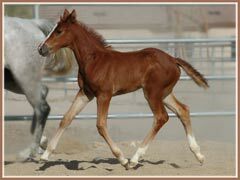 Though still young, Sidney has produced several quality offspring, the first of which (by Paramoure) has recently been started under saddle by his adult amateur owner. 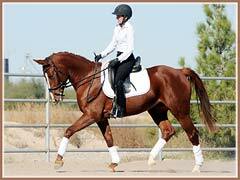 Sidney also produced the balanced and harmonious gelding Soprano (by Feuertänzer) and the talented and successful dressage gelding Santiago (by Kostolany). 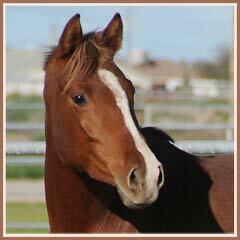 Solana is 15.3 hands and very easy to work with. 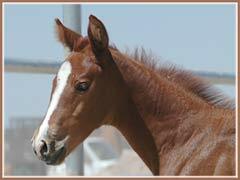 This athletic filly is offered at $14,000.